Patch Junction knows how important your custom patches are to your business, organization or team, which is why we offer free custom artwork and up to 7 free colors on every custom embroidered patch. 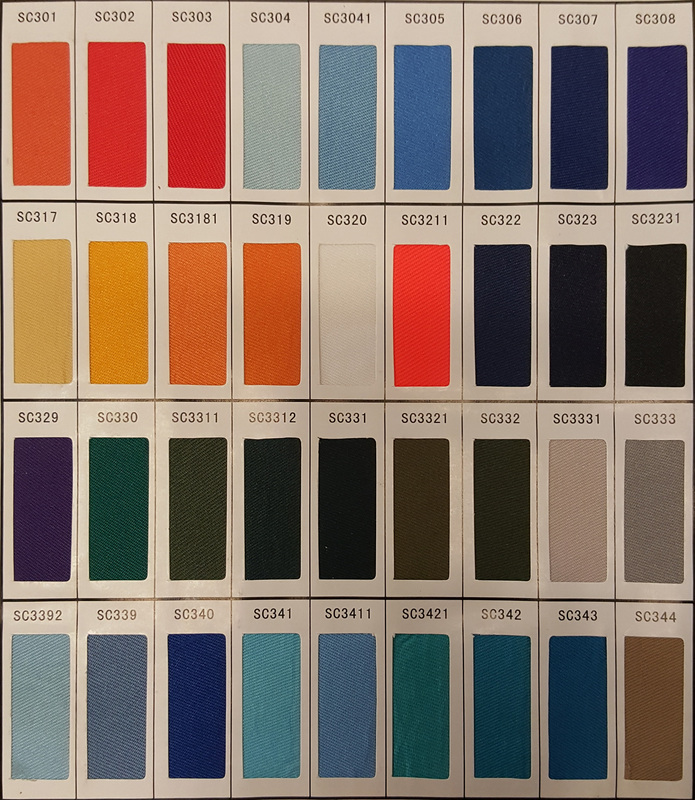 We have more than 130 different twill and thread colors from which you can choose, ensuring the patch will be a true representation of any logo or design. 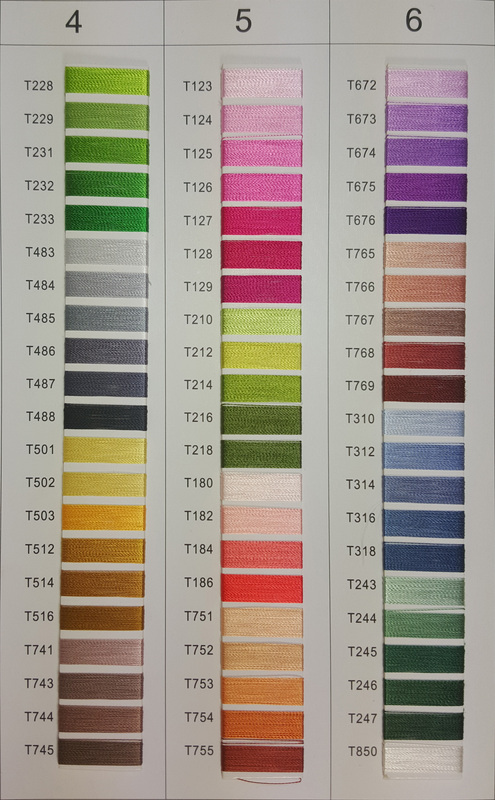 Patch Junction offers three levels of embroidery, as well as four backing styles and two border options. If you need help making any decisions during the ordering process, let our experienced customer service representatives help you along the way. We are available to answer any questions at 855-471-6750, or you can email us at sales@thepatchjunction.com. Order a patch that everyone will be proud to wear or display from Patch Junction -- the home of all your custom patch needs. Determining the size of your patch: add the length + width then divide by 2. See above; The patch is 3"x1" so (3+1)/2 = 4/2 = 2. The patch would be priced at 2". Minimum order: 50 patches per design. Merrowed border: Free with purchase. Hot cut border: add $0.10 per patch. Thread colors: 7 colors included. 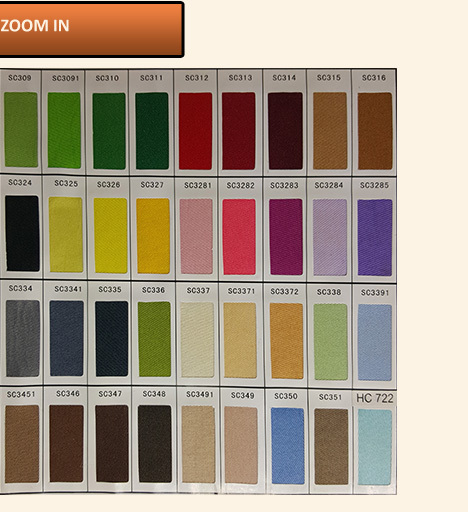 Additional Colors: $0.10 per color, per patch. Metallic thread: add 25% per patch. Neon thread: add 25% per patch. Iron on backing: add $0.10 per patch. Tape backing:add 25% per patch. 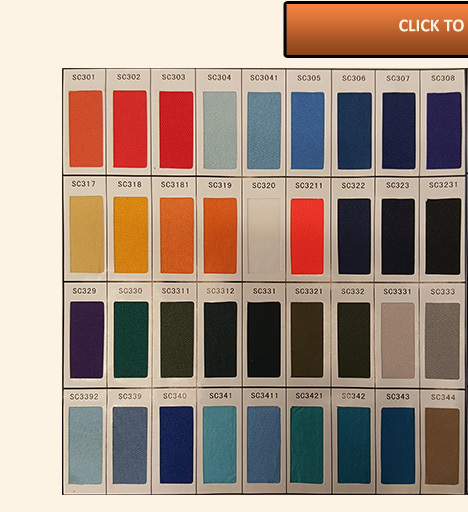 Custom patch thread colors and twill colors. When you're in the market for a custom embroidered patch, there is no such thing as too many options. 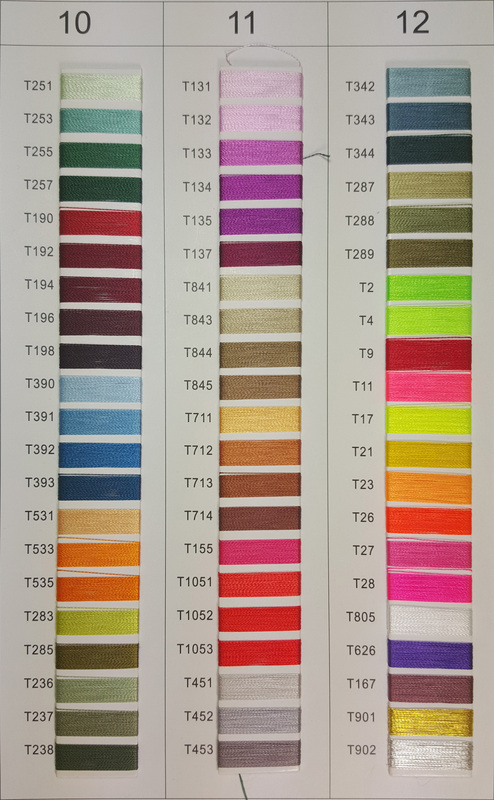 We offer more than 250 thread colors so that any design or logo can be achieved. And with more than 70 twill color options, words contrast and logos pop for a custom patch that is easy to read from a distance. 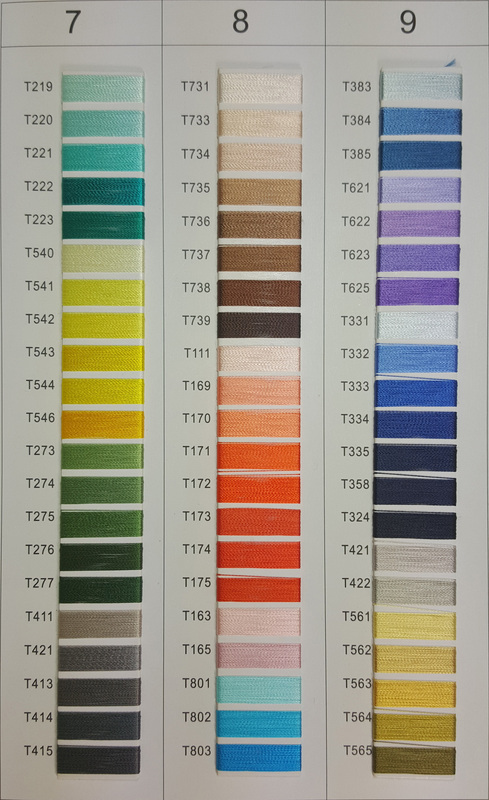 With Patch Junction, you are able to choose up to 7 thread colors for free. 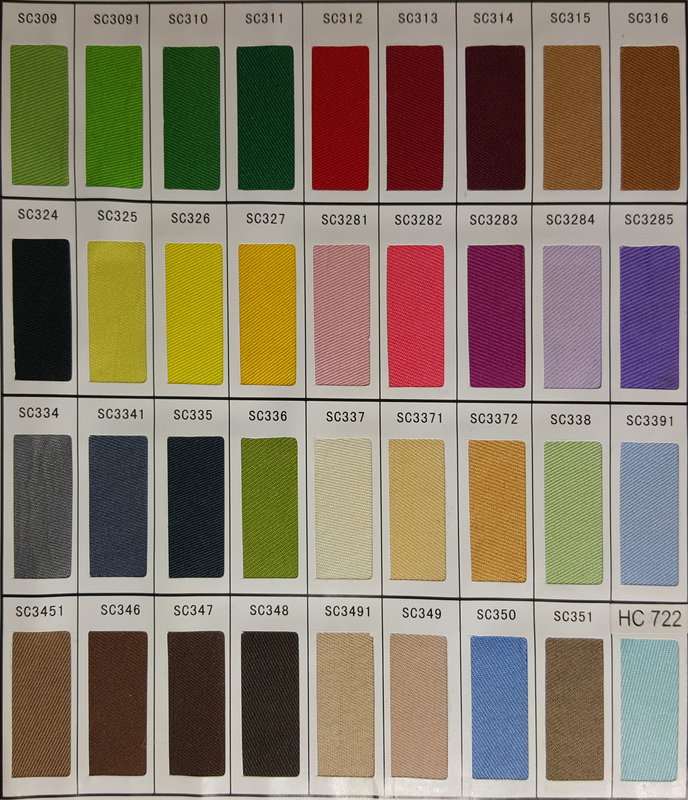 Twill colors on patches that are 50 percent or 75 percent embroidery can be included in your free color options. Twill options are not visible on patches that utilize 100 percent embroidery and therefore are not able to be included in the offer. The highest quality patches at wholesale prices. Why choose a custom embroidered patch? Patches are the perfect way to advertise a business, celebrate a milestone, award achievements, display a rank or to proudly show inclusion in a club or team. Bands, sports teams and clubs can let their fans and customers show their support with creative custom patches. All of our products are durable and made with the finest materials to ensure a professional, high-quality patch that will last a lifetime without fraying. Our tested backing options make sure your patch stays put on a jacket, uniform, hat or wherever the iron-on, velcro or tape backing can be properly applied. 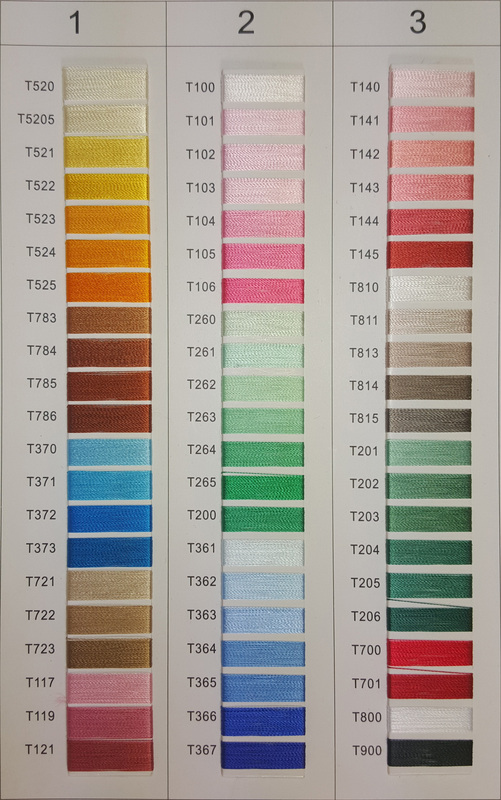 In order to keep Patch Junction prices the lowest in the industry, we require that patch order quantities be of at least 50 patches per design. We include up to 7 colors, merrowed borders, artwork, revisions and shipping to anywhere in the United States for free to all of our customers. Thanks to the hard-working manufacturers and speedy shipping partners, all orders tend to be received within 14 days of when the order was placed. Request a Free Quote to receive your custom artwork with no obligation to purchase. All design proofs are e-mailed within 24 hours. Click here to contact Patch Junction today to begin your patch order.